GearBest’s Women’s History Month Promotional Sale 2017 is going on at Gearbest.com with a massive discount as you have the chance of purchasing one of the best gift for her.There are many smartphones of amazing companies, at an affordable price.Gearbest’s Women’s History Month Promotional Sale offers some unbelievable offers on smartphones and accessories of various popular manufacturers.This a very limited time offer. Massive discount up to 60%. OnePlus 3T is the latest model launched by OnePlus and comes with an array of amazing features. It comes with a 5.5-inch display screen having full HD resolution of 1920 x 1080 pixels as well as 401ppi. It also has the protection of Corning Gorilla Glass 4 and it displays amazing images having impressive sharpness, vibrant colours and crystal clear quality. It comes equipped with Qualcomm Snapdragon 821 Quad Core processor which is an amazing processor as it provides high efficiency as well as delivers extra power whenever needed. It also has GB RAM which is a too good when it comes to smartphones. 6 GB RAM is a lot and it will help run your device really smoothly and efficiently while allowing you to download apps without worrying about space. It also comes with 64 GB ROM storage capacity which is good enough for storing important files or your favourite songs and movies. It runs on OxygenOS which is based on Android 6.0 Marshmallow OS. It comes with a 16.0 MP rear camera having Sony IMX 298 sensor as well as a 16.0 MP front camera having Samsung 3P8SP. Its other features include fingerprint sensor, accelerometer, gyroscope, hall sensor, electronic compass, NFC and much more. OnePlus 3T is available on GearBest and can be purchased for just $449.99 after a discount of 49%. Teclast TBook 10S comes with a 10.1-inch IPS touch screen having display of 1920 x 1200 pixels which boasts impressive clarity with vibrant colours. It comes equipped with Intel Cherry Trail X5 Z8350 64bit Quad Core Processor which clocks in at 1.44GHz and acts as an ultra-low voltage platform which provides high efficiency as well as delivers extra power whenever needed. Its processor is complemented well by Intel’s 8th Gen HD graphics which helps you run this device smoothly while playing games with heavy graphics or HD videos. It comes with 4 GB RAM which is more than enough when it comes to a tablet as it allows you to smoothly run multiple browser windows, games, videos and other apps without any worries of lagging or hanging. It also comes with 64 GB eMMC ROM storage capacity which is enough space for storing videos, songs and movies. It comes with a unique feature of dual boot meaning you can run it on either Windows 10 OS or on Android 5.1 Lollipop OS. Its other features include Wi-Fi, Bluetooth 4.0, Dual SIM dual standby and much more. This amazing tablet is available on GearBest and can be purchased for just $170.99 after a discount of 28%. Xiaomi Mi Note 2 comes with a 5.7-inch flexible OLED display screen having front and back 3D curved glass, a 77.2-inch screen-to-body ratio and a 7-series aluminium frame. It comes equipped with Qualcomm Snapdragon 821 max which clocks in at 2.35GHz and is considered as one of the best processors available for high-end devices. It acts as an ultra-low voltage platform which is capable of providing maximum efficiency while also delivering extra power whenever need. 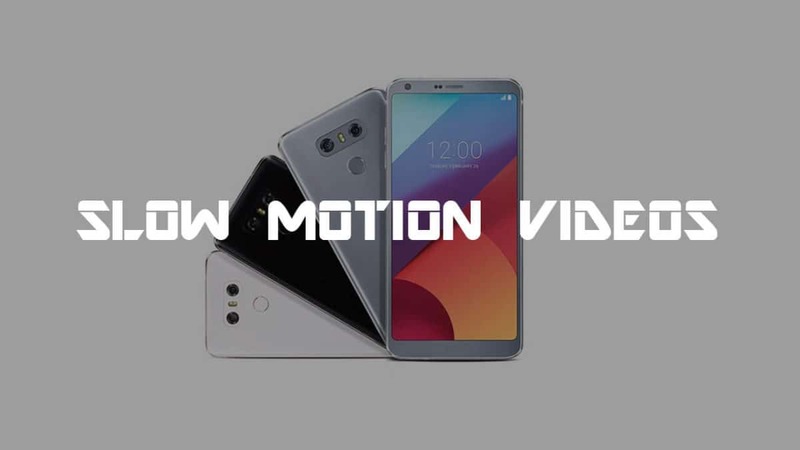 It comes with 6 GB RAM which is incredibly high for any smartphone as it provides sufficient bandwidth for allowing you to simultaneously run multiple browser windows, videos, games and other apps without any issues of lagging or hanging. It also comes with 128 GB ROM storage capacity which is good enough for storing your important files or your favourite videos, songs and movies. It comes with a 22.56 MP high-resolution front camera which allows you to click amazing pictures and create memories with family and close friends. It also comes with a 8 MP autofocus front camera which helps you click beautiful selfies as well as video chat with family and friends. Its other features include Quick charge 3.0, NFC functionality, GPS high-precision positioning, E-compass, Accelerometer, Gyroscore and much more. It is available on GearBest for just $669.99. But interested parties need to hurry up, as only 26 pieces remain as of now. 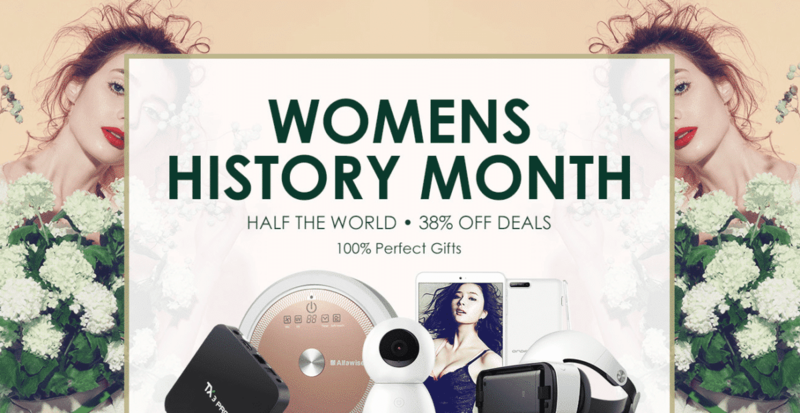 If you are interested to know all the products listed on Women’s History Month Promotional Sale then, check out the full product list here.